ACM Multimedia 2004 Columbia University, New York - Association of Computing Machinery (ACM) organizes a number of prestigious exhibitions and conferences around the world. Among them, its annual ACM Multimedia Exhibition recognizes the most socially and technologically relevant works from each year. 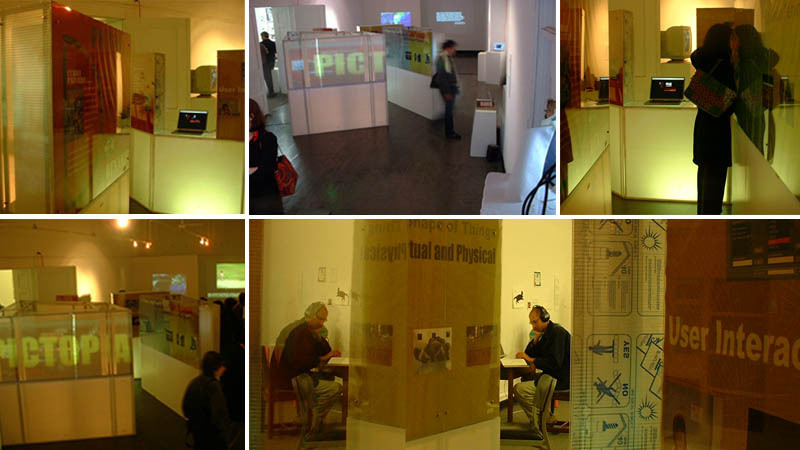 Pictopia was featured in this exhibition in 2004, held in Columbia University in New York City. The microcosm of Kowloon was reproduced on the gallery floor. The angles of the key axis, deduced from the rigorous grid analysis, was used to create a "plaza" that should have been build in Kowloon.